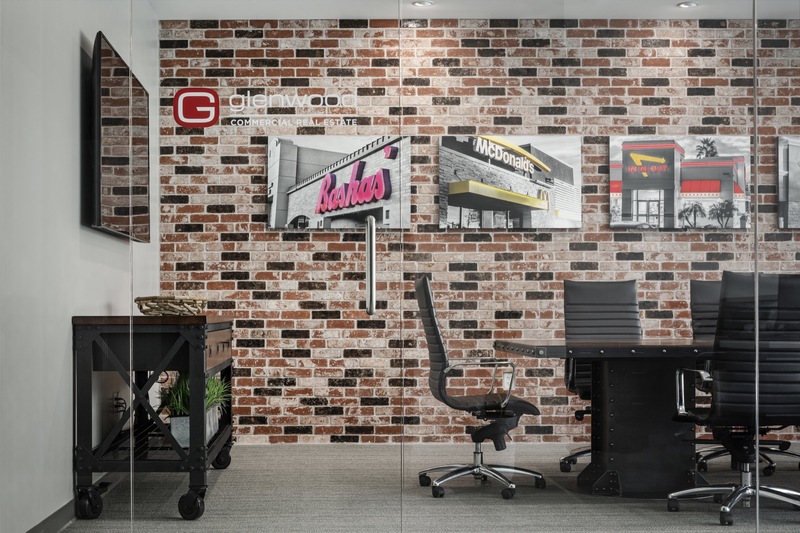 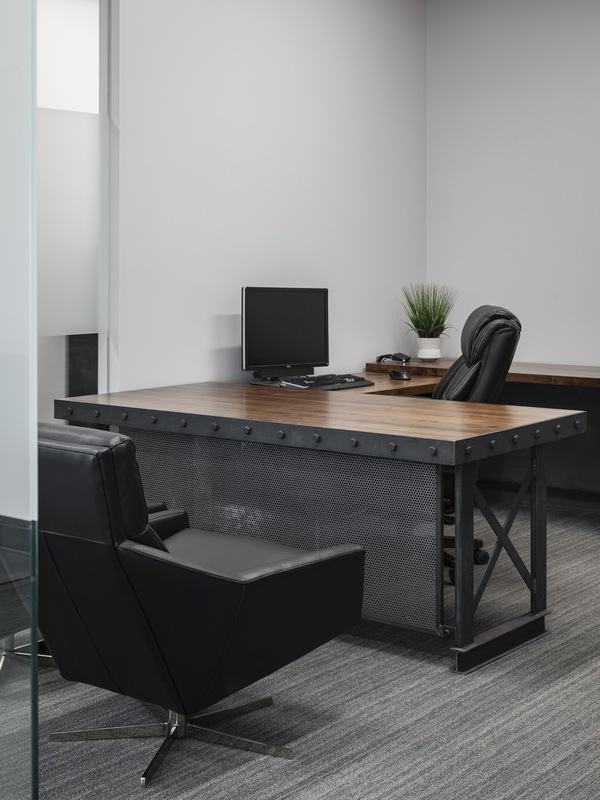 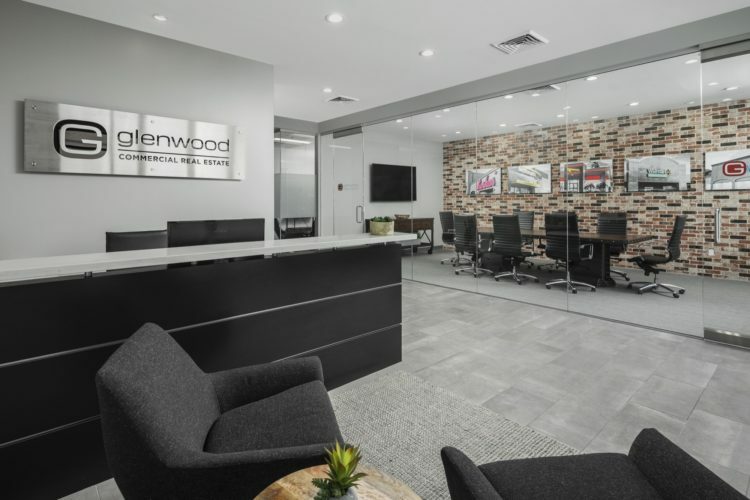 Glenwood Development Company relocated their headquarters and hired AFT to completely remodel 3,000 SF of high-end office space. Natural Light – Glass was used throughout the space, including a larger “storefront” window and glass walls for offices and conference rooms. 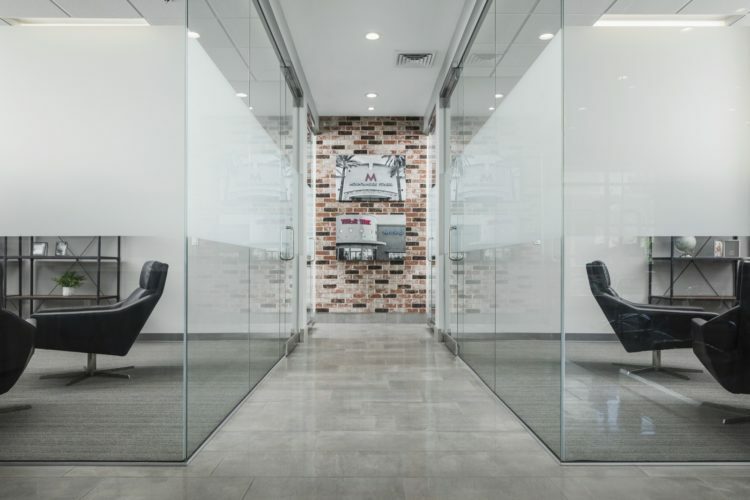 Not only does the glass make the space feel larger, it also allows for more natural light. 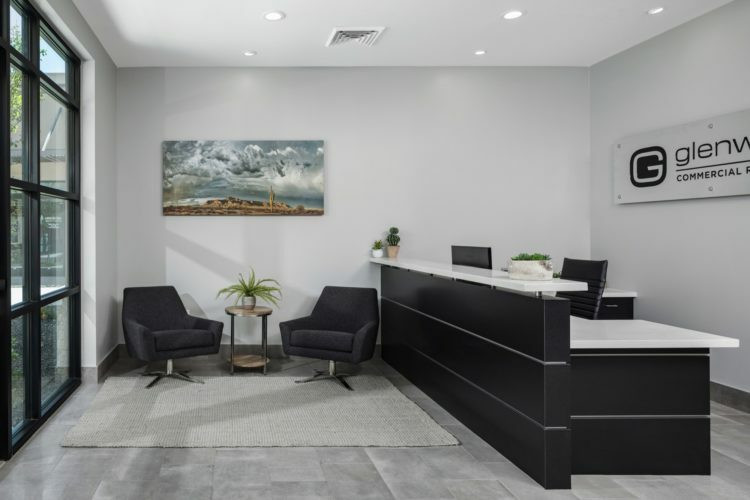 Tile Flooring – Tile flooring with a subtle pattern inspired by textiles was used throughout all of the common areas of the space that provides clean, modern look. 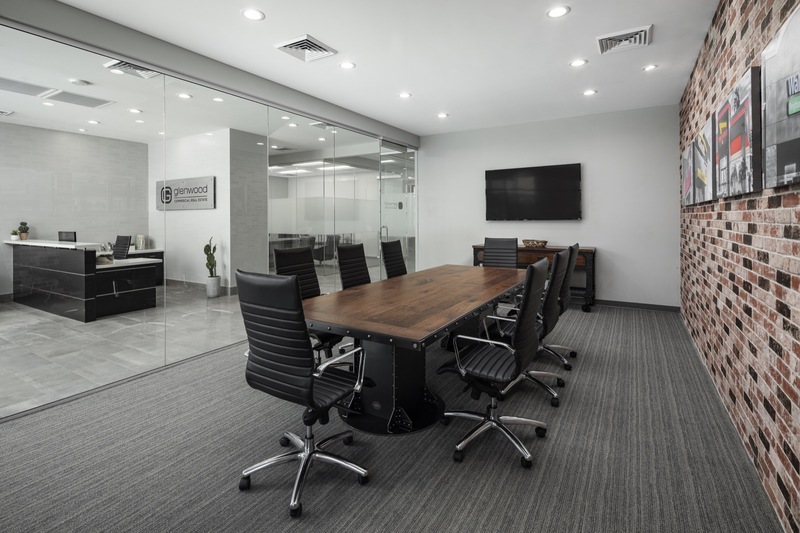 Ceilings – The space departed from the traditional office design by implementing two types of ceilings. 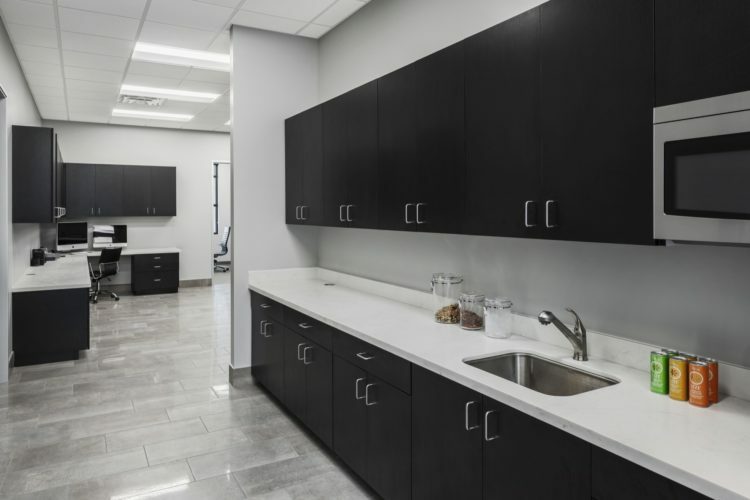 The common areas were built with a hard drywall lid with can lights, while the conference room and office contain acoustic ceilings. 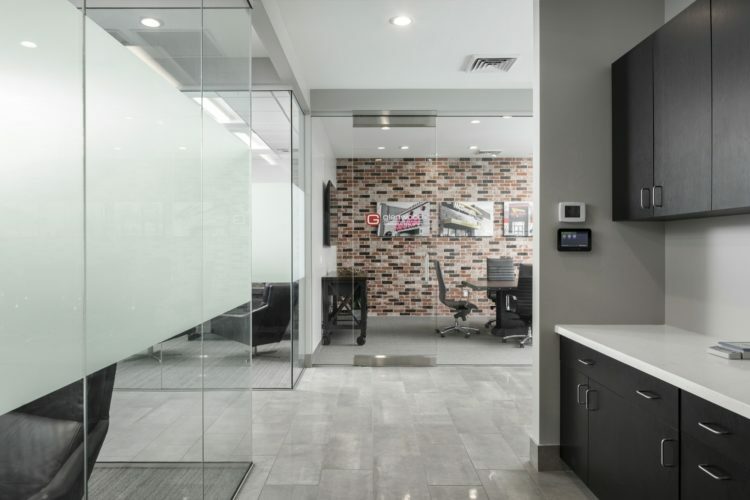 This design provides the best of both worlds with the drywall providing a clean, refined look, while the acoustic ceiling provides sound insulation where it’s needed most. 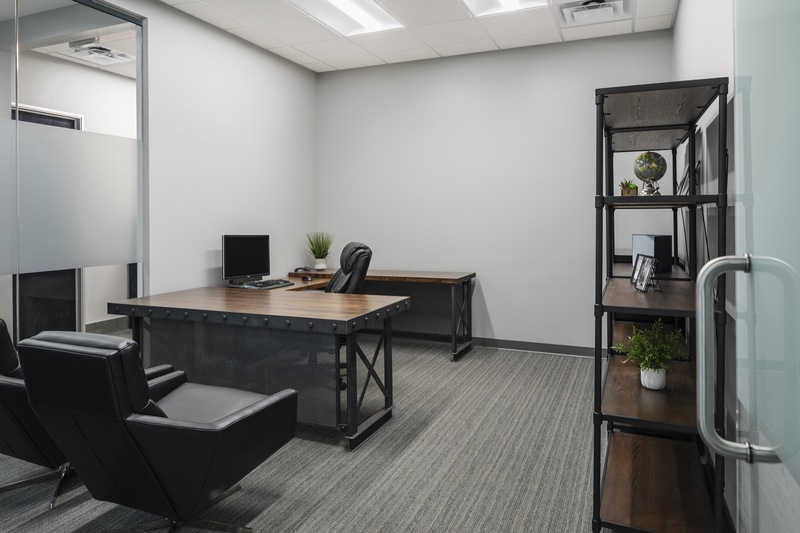 By completely tearing down and rebuilding, AFT was able to transform this office into “Class A” space. 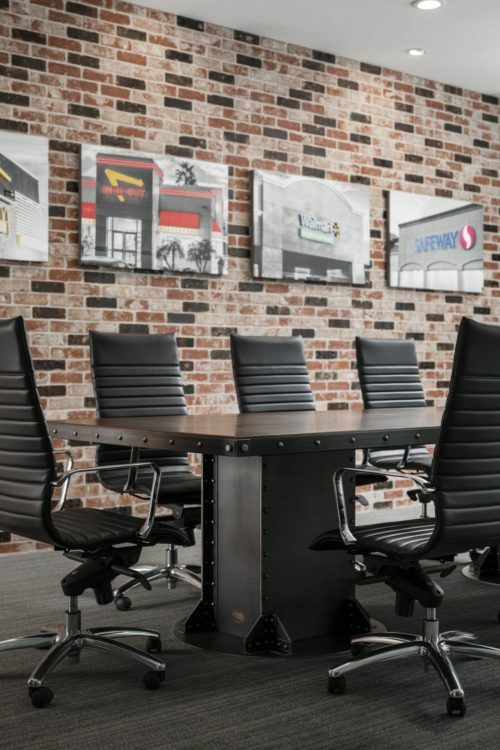 Our clients now have a corporate headquarters to proudly showcase their past, present, and planned development projects.